Below is a full explanation on how to find Vestel part numbers. 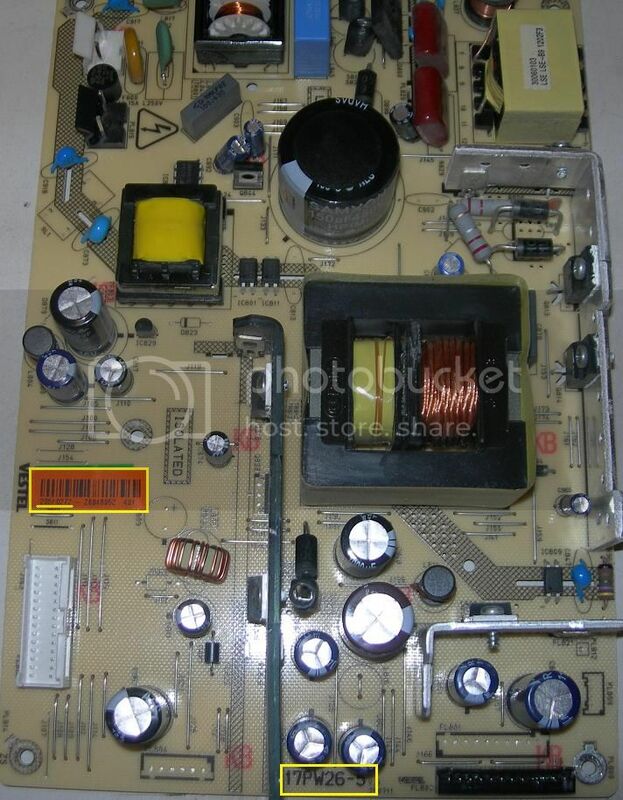 Vestel Main Boards; Finding your Vestel Main Boards P/N is just the same as the VESTEL PSU. 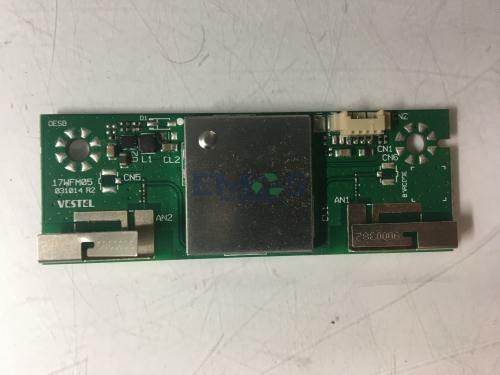 The blank board number will just be '17MB', then finding the vestel P/N is a case of looking for a white/ green/ red sticker label and locating the '20' or '23' number within it, which will be 8 digits long. This number must match in order to GUARANTEE compatability. 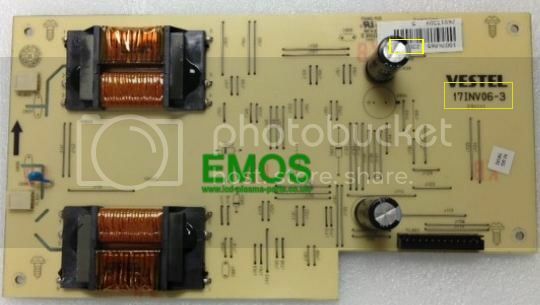 Vestel Power Supplies: Searching for your Vestel PSU numbers should be fairly straight forward, there are two important numbers on the board. The first being the blank board number which is all cases will be a '17IP' or '17PW' once you've found this number you should now scan the board and locate a white sticker label, some times it may be green or even red. Once you've found the label locate to '20' or '23' number within it which will be 8 digits long, this is the actual vestel part number which you should ensure matches the one on our listing, as if the '17IP/PW' number just matches it doesn't mean the board is compatible. Once you've found the number type it in our search bar and see if we have any available! 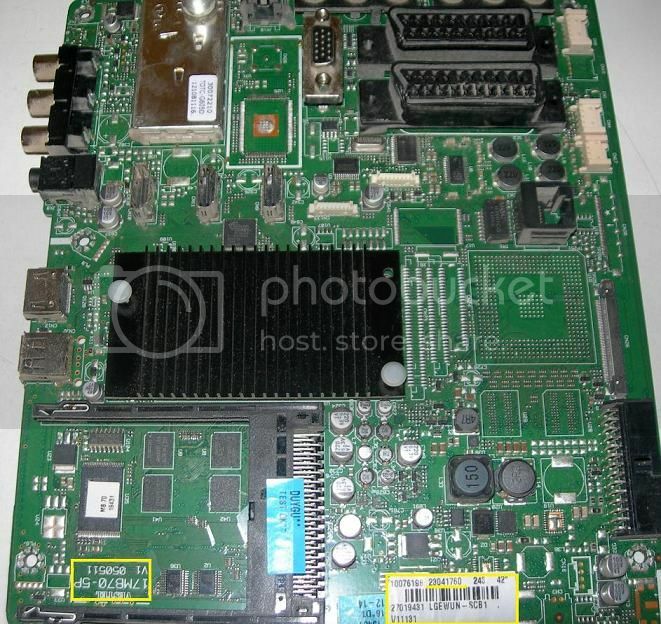 Vestel Inverter Boards; Finding your Vestel Inverter Board P/N is just the same as the VESTEL PSU/ Main Board. The blank board number will just be '17INV' number, then finding the vestel P/N is a case of looking for a white/ green/ red sticker label and locating the '20' or '23' number within it, which will be 8 digits long. This number must match in order to GUARANTEE compatability. We do what we can to help when this happens but you will have to cover the additional shipping costs.